With the cold weather setting in, the physicians at Prairie Spine and Pain Institute want to be comfortable and at your best. Here are some ways to help relieve joint pain in the winter. “Every mile is two in winter” said poet George Herbert. A big chunk of our Facebook fans couldn’t agree more, particularly the ones who have arthritis or joint pain. We polled them to find out what triggers their hip and knee pain, and 42 percent blamed cold weather — by far the leading cause. But can the elements really make your joints ache? The scientific evidence is conflicting. Some studies find a strong relationship between short, cold, damp days and arthritis flare-ups. Research from Tufts University suggests changes in barometric pressure worsen knee pain in people with arthritis, while colder temps can cause painful changes in joint fluid thickness. Other studies have found little or no link between weather and joint pain. Omega-3 fatty acids. Think salmon and nuts to curb inflammation. Vitamin K. Make meals that feature greens, such as spinach, kale, and cabbage, for their pain-soothing properties. Vitamin C. Add color to your diet with juicy oranges, sweet red peppers and tomatoes, and other C-rich foods to halt cartilage loss (and resulting pain) that comes with arthritis. Avoid foods high in omega-6 fatty acids, such as corn oil, which may trigger painful inflammation. Also swap refined grains for whole grains. Early research suggests refined grains have an inflammatory effect, whereas high-fiber whole grains may help reduce inflammation. Glucosamine sulfate and chondroitin may help by nourishing cartilage and increasing lubrication in your joints. A large-scale study funded by the National Institutes of Health found that a daily combo of glucosamine and chondroitin might help ease symptoms in people with moderate-to-severe joint pain. Also make sure you’re getting plenty of vitamin D to help keep your bones strong and prevent joint pain. 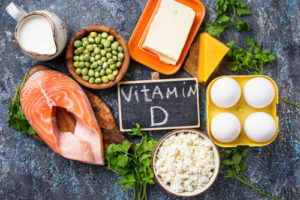 Look for a supplement with D3 (the kind your body manufactures from sunlight), but check with your doctor first because some supplements can interact with prescription and over-the-counter drugs. 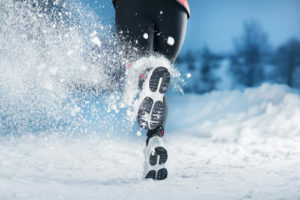 One reason cold weather is linked to joint pain is people are less likely to work out when it’s chilly and damp. Being a couch potato is bad news for your joints because exercise helps lubricate them to prevent pain. Try these 6 safe, easy exercises for arthritic knees. Too cold out? Bring your workout indoors — and don’t overdo it! Choose low-impact aerobic moves that are easy on joints, such as walking, and yoga or tai chi, which enhance your range of motion. Lifting weights can also help because it builds joint-supporting muscles. Original article published on sharecare.